The influence of the late, great Danehill on the modern throughbred continued throughout the York Ebor festival, with sons Dansili, Exceed And Excel and Rock Of Gibraltar, and grandsons Requinto and Society Rock, all supplying winners during the week. But it was arguably Exceed And Excel who exerted the most influence with a brace of winners, a son placed in Group 1 company, and a paternal grandson who did likewise. The week started well, with Exceed And Excel recording an across-the-card double on Tuesday - the Ed Walker-trained two-year-old colt Enzo successful on his second start in a mile novice stakes at Brighton, before the Mark Johnston-trained W G Grace won at the fourth attempt in handicap company on the all-weather at Kempton later that evening. 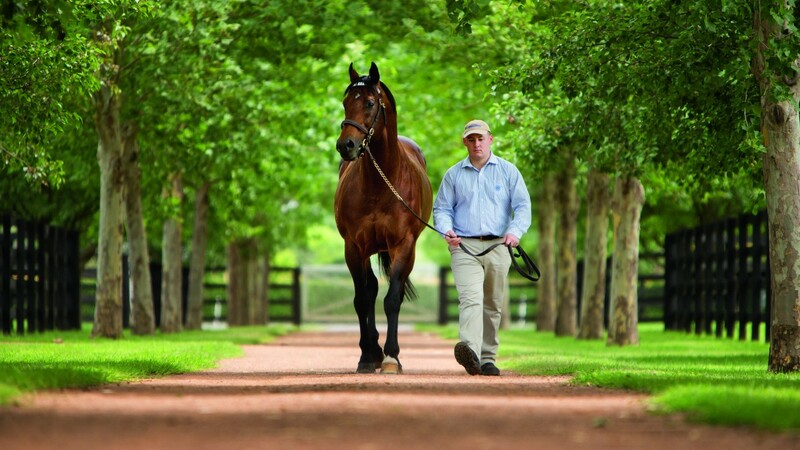 Darley's stalwart shuttler did not have to wait long for his progeny to start excelling on the Knavesmire either, with the two-year-old colt James Garfield running Wells Farhh Go to a nose in the 7f Group 3 Tattersalls Acomb Stakes, the second race of the meeting. Despite being out of the Listed-winning Daylami mare Whazzat, the George Scott-trained colt was bought back for £60,000 by Highclere Stud at last year's Goffs UK Premier Sale. Barney Roy, a son of Excelebration and thus a paternal grandson of Exceed And Excel, finished a close third in the Juddmonte International later on the card to Ulysses, who he run to a nose when second in the Coral-Eclipse at Sandown last month. Barney Roy has already won at the highest level, having won the St James's Palace Stakes at Royal Ascot, and is Classic-placed having found only Churchill too good in the 2,000 Guineas in May. On Thursday's card, Threading became a most impressive third winner of the Lowther Stakes for her sire, after Infamous Angel (2008) and Best Terms (2011). The juvenile filly beat Madeline by a length and three quarters, giving her a second win over 6f after she powered clear on debut by six lengths at Glorious Goodwood earlier this month. Those two results paid handsome dividends for Hazelwood Bloodstock and Emirates Park, who paid 105,000gns for her year-older half-sister Carmague in July. Exceed And Excel had two runners in an eventful Nunthorpe Stakes on Friday, with 50-1 outsider Cotai Glory crossing the line in third, and daughter Priceless keeping on for fifth. As a juvenile, Cotai Glory won the Group 3 Molecomb Stakes at Goodwood, and looked to have the Group 2 Flying Childers Stakes at Doncaster all but signed, sealed and delivered when his saddle slipped and jockey George Baker was unseated. Sound And Silence then completed a banner week for Exceed And Excel on Saturday by seeing off 11 opponents to land the Listed Roses Stakes over the minimum trip. The Godolphin homebred looked to be travelling more smoothly than the rest and was going away at the finish. Interestingly, both Sound And Silence and Cotai Glory are out of Elusive Quality mares, a nick which has also thrown up Yalta - who holds the record over 5f for juveniles at Goodwood - and which has a handsome winners-to-runners strike rate of 85 per cent. Exceed And Excel stood his 13th breeding season this year at Kildangan Stud at a career-high fee of €50,000 - a hefty fee but one that seems justified on the basis of his progeny's results this week.